In stock. Order in the next 13 hours, 12 minutes and it will go out today! This site is about curation, and we thought this was pure fun as a curiosity. It's not the ultimate source for learning hand shadows, but it will get you started, and it's a charming reproduction book of a very old title. Generations of entertainers have amused audiences of children and adults with the art of hand shadows, using only a light source and their own two hands to form immediately recognizable profiles of people and animals. 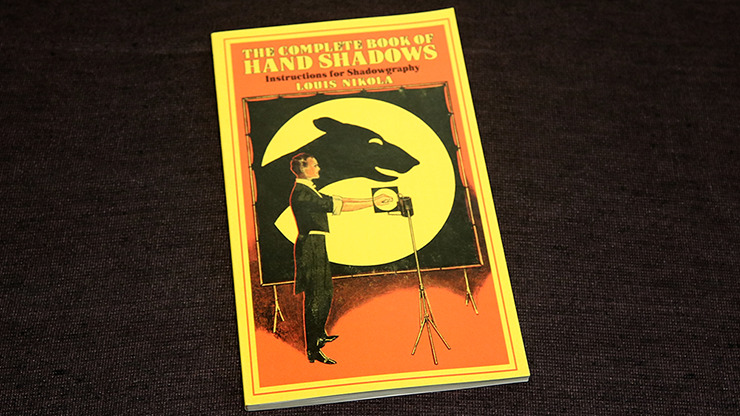 Lovers of nostalgia and aspiring hand shadow artists will delight in this facsimile of a 1913 book, which features more than fifty hand shadows. These quaint illustrations depict many different types of shadows, from swans, rabbits, and other animals to historic figures and fictional characters. Each hand shadow is accompanied by a description of specific hand positioning and an illustration. Additional helpful tips include instructions on lighting, projection screens, and hand exercises. Reprint of the C. Arthur Pearson, Ltd. London, 1913 edition.